Welcome to the DRNSP Website! As members of the National Ski Patrol (NSP), we serve the Dodge Ridge Ski Resort, located at Pinecrest, California. Since its creation in 1938, in the early days of recreational skiing in the United States, the NSP has followed its creed of “Service and Safety.” Today, the organization comprises more than 30,000 members serving over 600 patrols. 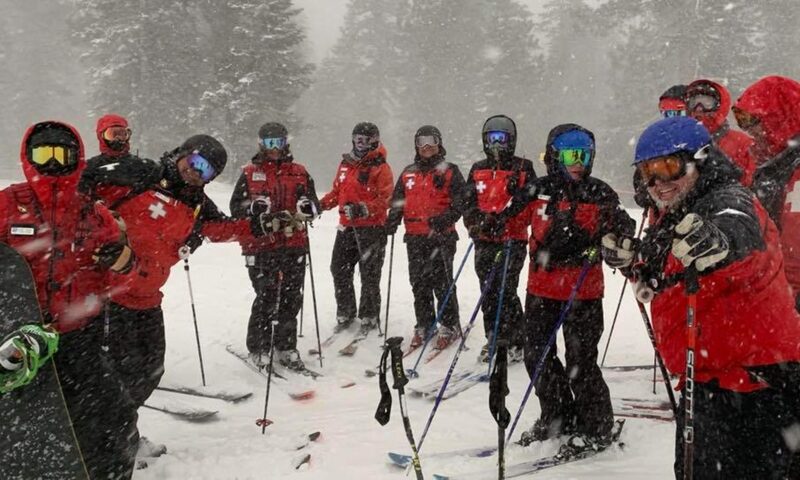 The Dodge Ridge National Ski Patrol is outstanding because members challenge themselves and each other to be better, year-by-year and leverage success of past training programs. This patrol exemplifies the long-standing tradition of the NSP: blending the talents of long-time members, cultivating their family involvement and weaving new blood into a growing and dynamic local patrol that delivers professional outdoor emergency care of the highest dimension. Almost half our patrollers boast 20 years or more in NSP service. And those maturing members have become instructors and instructor trainers, mentors and shining examples to building one of the best trained patrols in the Farwest Division! The DRNSP has nearly 100 members, both paid and volunteer. For many of us, being a ski patroller has been a lifelong dream come true. Are you up to new challenges? Do you love to ski/snowboard? Does the idea of helping others while engaging in the greatest sport in the world appeal to you? Then consider joining us. As a volunteer patroller, you can expect to push your snow riding skills beyond their current limits, learn advanced first aid, make a lot of new friends, and help the skiing/boarding public in the process. We are rewarded by a sense of purpose, satisfaction in a job well done, recognition from resort management, appreciation from our customers, and camaraderie with our fellow patrollers.